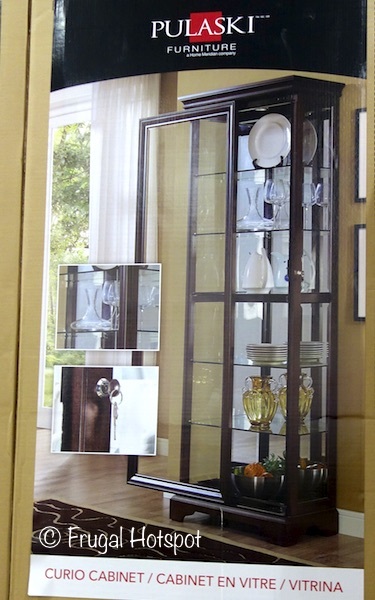 Display your collectibles in this lovely display cabinet with tempered glass shelves. 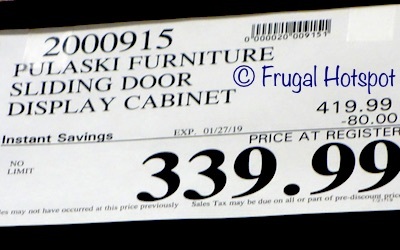 Select Costco locations have the Pulaski Furniture Curio Cabinet on sale for $339.99 (after instant savings), now through January 27, 2019. That is $80 off Costco’s regular price of $419.99. While supplies last. Item #2000915.